Dental health is something we ignore on a regular basis. The number of times we choose to not follow the rules of brushing twice everyday or going for regular dental checkups is too high to even admit by most people. Under such circumstances, it is of little surprise that a majority of the population faces major oral diseases which lead to the loss of one’s teeth or incredible toothache which makes us wish we had been more careful from the start. Oral diseases aren’t only a pain to deal with, they also harm our self confidence and self esteem invariably. How many times have we felt self conscious and inadequate for a high pressure situation just because we have bad teeth or bad breath? In severe cases of tooth decay we might even end up losing the tooth. In such cases, we need a cure which will help us regain our perfect smile back. Dental implants are the cure to such situations. 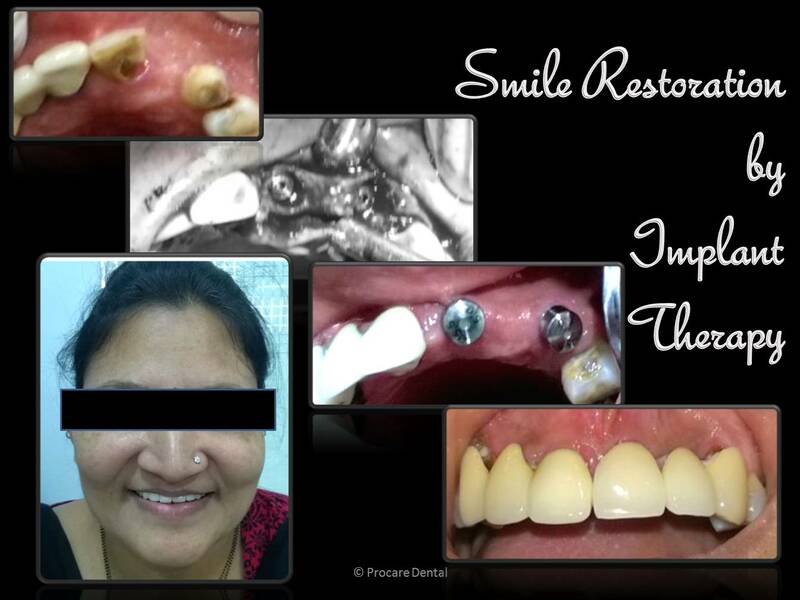 Why there’s a huge demand for dental implants in Mumbai? Although relatively new to the market, dental implants have soon earned a place of popularity among patients suffering from tooth decay or loss. A painless and permanent cure to tooth decay sounds almost too good to be true. However in this case, it is. Decay in the tooth enamel is a process largely attributed to our bad habits. It is caused by the consumption of sticky and sweet food or beverages. As such, this beverages break down into small bits in our mouth which then get stuck between our teeth. On reaction with the bacteria present in our mouth, they form plaque, which erodes minerals from our teeth leading to decay. However, dental implants in Mumbai have now solved the problem of losing our teeth with sturdy efficiency. Dental implants in Mumbai are available at every major dental clinic here. Their ease of use and cheap prices, have made them one of the most demanded cure. How to get dental implants in Mulund? Dental implants provide quite a few advantages compared to the old method of getting false dentures. They are almost permanent, as they suffer a lot less wear and tear compared to ordinary dentures. The need of taking them off repeatedly is something dental implants don’t have to worry about. The price of dental implants in Mulund is quite reasonable, contributing to the factors which favour this process largely. The process involved with getting new dental implants in Mulund is also very easy, taking only 4 weeks to finalise and set them. On the first visit the measurements of the tooth in need to be extracted is taken. In the second and third visit, a metal wire is connected to the jaw to provide support to the dental implants. This is followed by attaching the implants to this wire, to give them support and prevent them from coming off or get loose. In the final visit, the implants are checked and made ready for use, and the patient is suggested to make regular visits to the dental clinic.